We've just added a bunch of fantastic jumpers. They're made by Ohh Deer - a brand which commissions lots of fantastic illustrators to decorate their products. The jumpers are really cool and all made of a thick and cosy grey cotton. Here's a taster, but please do visit our jumpers and hoodies section to see the whole lot. 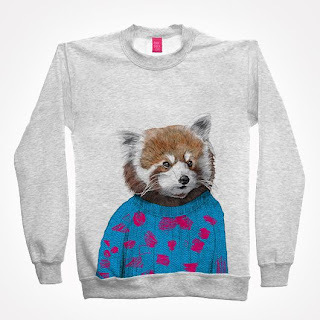 This red panda jumper features a, erm, red panda. Wearing a jumper. On your jumper. 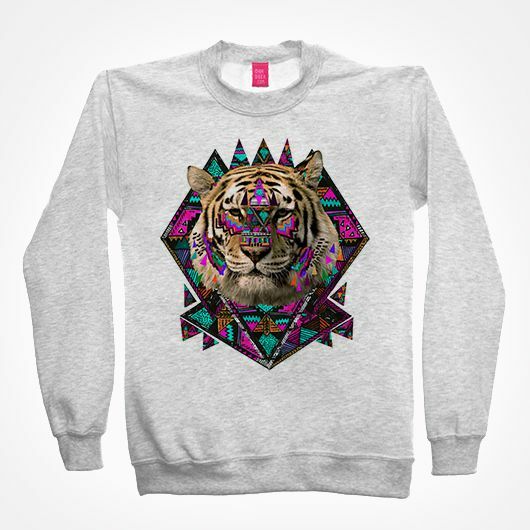 This is a tiger jumper - there's a tiger in there somewhere amongst all those magic colours! 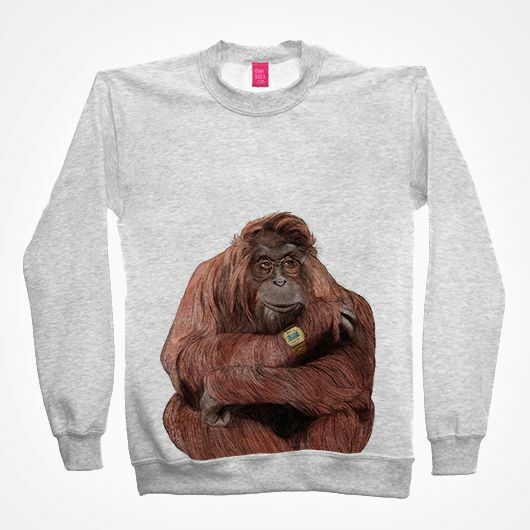 This orangutan jumper features an orangutan named Hutan. He wears a watch.